A Bristol-based business which provides social media analysis for television companies has received a huge vote of confidence after attracting investment from a global media company. SecondSync, a member of the University of Bristol’s SETsquared Centre, monitors people’s social media conversations about TV broadcasts and provides audience insights that can be used for media planning and audience research and commissioning. Clients include Channel 4, ITV, BBC, Shine and MediaCom and, despite only being founded last year, its success to-date has impressed Kantar Media, a world-leader in audience measurement. Kantar Media has now acquired a minority stake in SecondSync, co-founded by Andrew Littledale, Ted Littledale, Lee Carre and Dan Fairs, in a move which extends the existing relationship between the two companies, who entered into a data sharing agreement earlier this year. The two companies will now work closely together to deliver a range of TV measurement and analytical tools to the UK market. Kantar Media delivers audience measurement and analysis in over 60 markets worldwide, and is a contractor to BARB, the official source of UK TV viewing data. SecondSync is now in the process of growing its technology team, enhancing its suite of advertising tools for the SecondSync platform and expanding geographically. Its patent-pending Adaptive Search Technology makes sense of the torrent of tweets sent every second, working with broadcasters, production companies, agencies and brands in understanding what viewers are saying, as they say it. 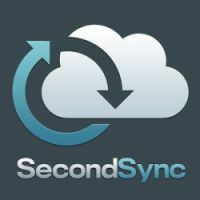 Nick Sturge, Director of the Bristol SETsquared Centre, added: “We’ve seen a number of companies developing technologies that make sense of the enormous amount of data and intelligence embedded within the social media ‘cloud’ but SecondSync is the first to deliver a compelling market application. They have demonstrated a focus in their business – both strategically and technically – that will see this business become a major player in the media industry. Kantar Media is part of Kantar, the data investment management division of WPP, one of the world’s largest insight, information and consultancy. By connecting the diverse talents of its 13 specialist companies, the group aims to become the pre-eminent provider of compelling and inspirational consumer insights for the global business community. Its 28,500 employees work across 100 countries and across the whole spectrum of research and consultancy disciplines, enabling the group to offer clients business insight at every point of the consumer cycle.